Soft Matter now indexed in Medline! We are delighted to announce that Soft Matter has been accepted for inclusion in the prestigious MEDLINE abstracting / indexing service. All articles published in Soft Matter will now be included, and searchable using PubMed. This will provide even greater visibility to the great research being published in the journal, particularly in the bio/medical communities. Happy holidays from Soft Matter! All of us in the Soft Matter Editorial team would like to wish you all a merry Christmas and a happy new year! The Editorial office will be closed from 24th December 2013 and will reopen on 2nd January 2014. We’re really looking forward to 2014, which will see some great themed issues in Soft Matter as well as the 2014 Soft Matter Lectureship (opening for nominations early in the year). Don’t miss out on all the journal news – follow us on twitter @softmatter and like us on Facebook! Many congratulations to the winners at the 2013 International Symposium on Stimuli-Responsive Materials! Chosen by an independent panel, the winners were: Akira Matsumoto (Institute of Biomaterials and Bioengineering at Tokyo Medical and Dental University) for the Journal of Materials Chemistry A, B & C poster prize, Justin Poelma for Polymer Chemistry and Saemi Oh for Soft Matter (University of California, Santa Barbara). The symposium which focuses on the field of stimuli-responsive materials from academia, industry, and government took place in October (20 – 22) this year at the Hilton Sonoma Wine Country in Santa Rosa, CA and was co-sponsored by the Royal Society of Chemistry. Follow the latest journal news on Twitter @Softmatter or go to our Facebook page. All of us in the Soft Matter Editorial team would like to wish you all a merry Christmas and a happy new year! 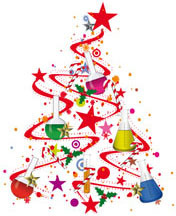 The Editorial office will be closed from 21 December 2012 and will reopen on 2 January 2013. We’re really looking forward to 2013, which will see some great themed issues in Soft Matter as well as the 2013 Soft Matter Lectureship (opening for nominations early in the year). Fancy submitting an article to Soft Matter? Then why not submit to us today! To keep up-to-date with all the latest research, sign up for the Soft Matter e-Alert or RSS feeds or follow Soft Matter on Twitter or Facebook. The conundrum of gel formation by molecular nanofibers, wormlike micelles, and filamentous proteins: gelation without cross-links? Soft Matter is delighted to offer a poster prize at the meeting “Pierre-Gille de Gennes days on Physics of cells: From soft to living matter” taking place 2nd – 9th September 2012, in Hyeres on the Mediterranean coast of France. The aim of the meeting is to bring together eminent researchers from interdisciplinary fields working on various aspects of cell and tissue biophysics including adhesion, mechanics, mechano-sensing, morphogenesis, transport, single molecule studies among others. An advanced school, aimed at graduate students as well as researchers at the interface of biology with physical sciences, will precede the conference. Scientific sessions will include membranes, single molecules, adhesion and mechanics, cytoskeleton, gene expression, tissues and morphogenesis, bacterial motility, intracellular traffic, and emerging tools and techniques. I have to inform you of a problem regarding issues 24-30 of volume 8 of Soft Matter. Unfortunately, an error was made which has resulted in articles published in these seven issues having the wrong page numbers. We would like to apologise to our authors and readers and assure you that we are doing everything we can to rectify this error as quickly as possible. We will be republishing the articles with the correct page numbers by 3rd August and all authors of affected articles have been notified individually. The hard copies of the issues will be reprinted and distributed to our print subscribers. We will be publishing an appended addition and correction to each of the affected articles, as well as notices on the website to ensure readers are aware of the situation. We will also be coordinating with abstracting and indexing services such as ISI Web of Science and Scopus to make certain citations are not affected. Steps are also being put in place so this error cannot occur in the future. We appreciate your patience and once again sincerely apologise for any inconvenience or confusion caused. If you wish to cite one of articles affected before the corrected version is published, please use the DOI. If you would like to discuss this matter further, please do not hesitate to contact me. What makes research biomimetic, bioinspired or biokleptic? Sarah Staniland and co-workers discuss the meaning of the term ‘biomimetic’, and how it differs or overlaps between disciplines. How does a physicist define biomimetics, compared to a biologist? The irridescence of butterfly wings to tiny magnetic organisms are all discussed in this interesting and thoughtful Opinion piece.